Three years after the events of the second movie, the Bellas have graduated college, but have jobs which they all hate. 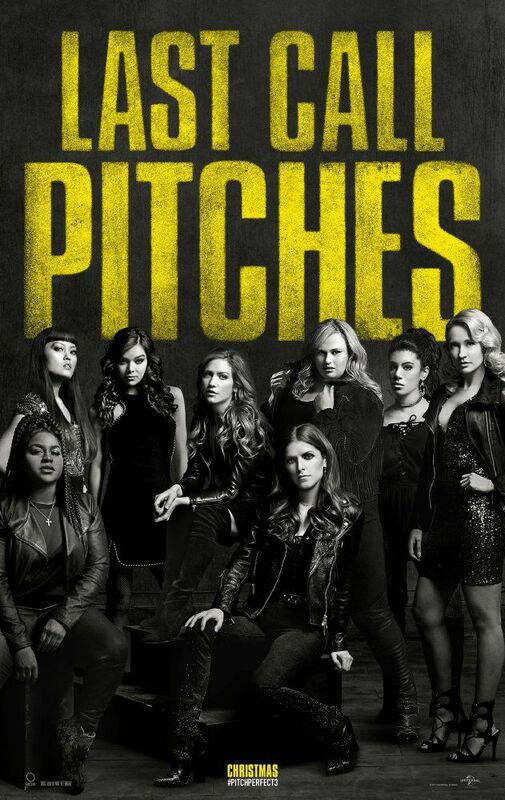 Desperate to see each other again to sing once more, Beca (Anna Kendrick), Fat Amy (Rebel Wilson), Chloe (Brittany Snow), Aubrey (Anna Camp), Lilly (Hana Mae Lee), Stacie (Alexis Knapp), Cynthia-Rose (Ester Dean), Florencia (Chrissie Fit), Jessica (Kelley Jakle), and Ashley (Shelley Regner) are all thrilled to learn that Emily (Hailee Steinfeld), now a senior at Barden and leader of the Barden Bellas, has seemingly asked for the Bellas to reunite at an event in New York Aquarium to sing with each other once more. Upon arriving at the reunion they are told that the reunion was not for the Bellas to sing together, but to watch Emily sing with the new Bellas. Read more on Wikipedia.